There’s a work/life balance for which every parent must discover. For many of us as we’re starting out in our young adult years, maybe we’ve thought about what it is that we want in each arena, and we may even have sketched out a plan in our minds about how we intend to approach them. Will we have a family first? Work first, then family? Will we pursue only one or the other or will we somehow balance both at the same time? And sometimes, even with the best laid plans, life alters things for us without our permission. While these questions and issues are typical for both sexes, as reproductive physiology would have it, there are unique challenges which women must face that men do not; because when we choose to create and carry our biological children, something usually has to give – at least for a while, if not forever. Add an additional challenge specific to women – and that is a palpable identity shift when the moniker “Mommy” is added to the mix – a phenomenon known as matrescence. It is a psychic shift in how she sees herself, her contributions to the next generation, and it’s about the fostering and continuation of life. It is about nurturing, protection from harm, unconditional love, and the potential for a joy greater than she may have known in other life areas. Now what might this experience be like for someone at whose core is a focus on the destruction of human life? Whose very aim is to take down often faceless, nameless enemies – done without remorse, but rather with pride? Take the job of a fighter pilot, a military aviator trained in air-to-air combat; and the female protagonist simply known as “The Pilot” in George Brant’s electrifying and often disturbing solo show Grounded. She is focused, determined, cocky and a trained machine – an annihilator who gets off on the raging rush of endorphins she feels in her uniform as she serves her country and fulfills her duties, holding her own in a mainly testosterone-driven world. A world where the “blue” is her joy and a beer is her reward for a good day’s work. 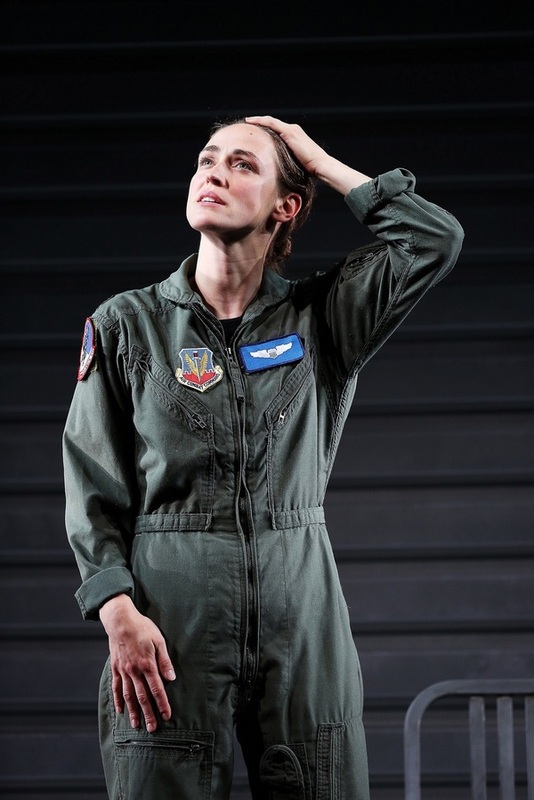 Grounded, at Westport Country Playhouse, is a gripping, mesmerizing, and altogether penetrating story of this pilot whose biology betrays her. When the formidable hot shot, masterfully played by an intense and altogether flawless Elizabeth Stahlmann, meets a man named Eric while on leave (think total stereotypical role-reversal), she returns to the skies recharged and exhilarated but still highly focused on the missions at hand. That is because she is not only defined by her work but she loves her work more than anything else. Before long, nausea and a tighter-fitting uniform reveal that something has changed – and that something is not blue, but pink. Pink! The pink indicator on a pregnancy test. Soon, pink clothing and the cherubic cheeks of her infant daughter. Later, pink ponies with which she plays as a toddler. This all forces her to make some unexpected life decisions and compels the military to consider new roles for her – in which she’s immediately dissatisfied and resentful. The Air Force grounds her while pregnant, and later sends her to the “chair force” as a drone fighter when her maternity leave ends. Life is no longer Technicolor – not blue. Nor pink. Just gray. Gray. Ill-defined, muddy, dehumanizing gray – the color of the images on the screens in the small room where she now “flies” her drone in 12-hour shifts from Creech Air Force Base in Nevada. Away from the bright lights of Vegas, where her husband now works. Away from the colorful cartoon images on the television her daughter likely watches. Shut out from the blue and the pink and every other one of a rainbow’s hues. It isn’t a wonder that many photographers prefer black-and-white images for the way they will distance the subject matter from reality. This Pilot’s reality is shifting, changing. It all takes its toll. The juxtaposition of both her maternal and her killer instincts swell like a maelstrom inside of her. There’s a saying in the fighter world – “Lose sight, lose fight.” Her vision and her focus have become altered – and it portends devastating consequences. Stahlmann is simply brilliant. She’s strong, committed, and authentic with every gesture, every word – and every F-bomb, of which there are many. Hand-in-hand with Stahlmann is an equally magnificent Liz Diamond, whose direction is stellar – her invisible but keen presence remains on stage alongside Stahlmann as some sort palpable union of trust you know has arisen between them. It is profoundly evident in Grounded’s execution. The two have delivered to their audience The Pilot’s gripping journey into a world few of us know or understand – taking us from laughter to tears to near psychological collapse as The Pilot’s spirit explodes and splinters like a target of the Hellfire missiles she unleashes. Scenic Designer Riccardo Hernandez has constructed a simple set, an essential backdrop which serves to keep all of the focus on Stahlmann where it rightly belongs; Yana Birÿkova’s projection design accentuates the loves, losses, fights, and fears The Pilot experiences, in addition to excellent lighting design by Solomon Weisbard and terrific sound design by Kate Marvin. Jennifer Moeller provides the perfect touch in Stahlmann’s costuming. When a work touches you so deeply on so many levels, it borders on perfection. Grounded’s tight, intimate structure brings you along the emotional roller coaster of a war fought both on the ground and in the mind. Westport hit this one right into the blue. 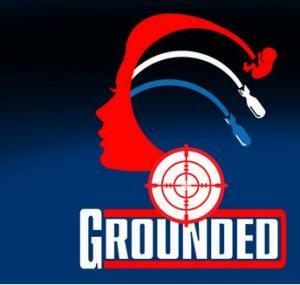 Westport Country Playhouse’s production of George Brant’s Grounded is a searing, provocative, haunting piece of theatre. 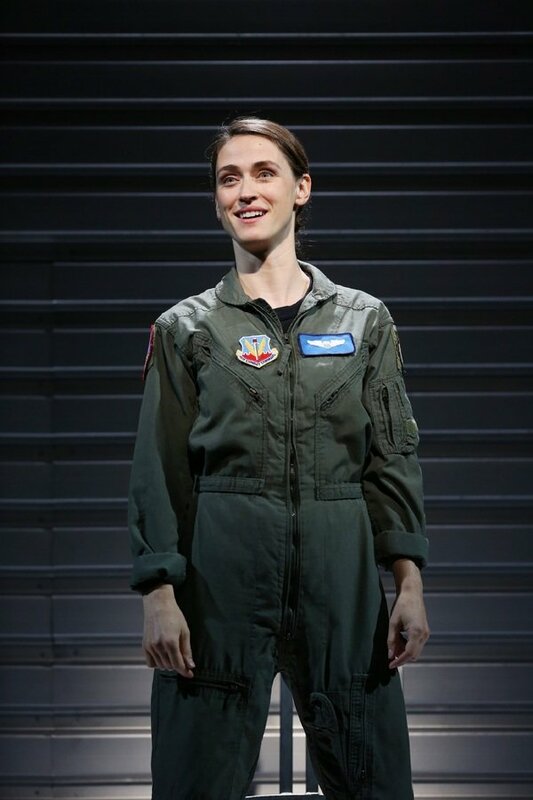 The fact that it is a one-woman show that figuratively takes you from ground to wild blue yonder like a stealth bomber makes it all the more riveting. 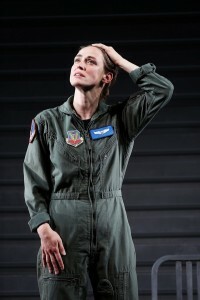 It was hard to conceive of a one-woman show about a female fighter pilot without conjuring static stage images and plodding military jargon. These preconceived notions, however, are quickly obliterated like an enemy convoy by a military drone, thanks to the expert direction of Liz Diamond, the absolutely knock-down-drag-out acting performance by Elizabeth Stahlmann, great lighting and sound design by, respectively Solomon Weisbard and Kate Marvin. 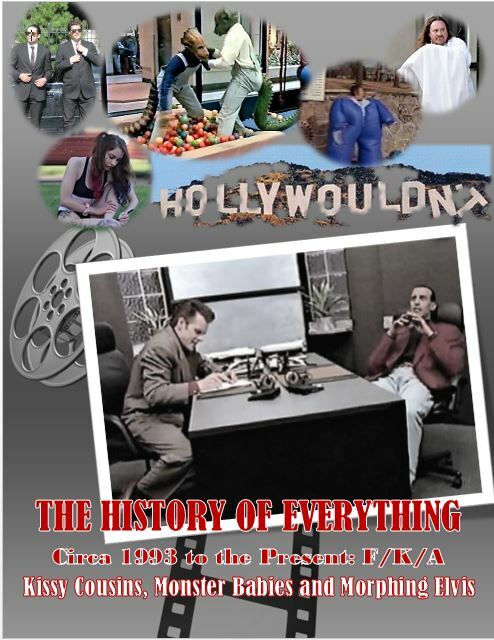 And, of course, an incredibly layered and nuanced script by George Brant. The plot – at least on the surface – seems relatively straightforward. A cocky female fighter pilot (think Tom Cruise from Top Gun – including the machismo masculine ego). Despite her masculine traits, she falls in love with a supportive man and has a baby during which time she is, of course, grounded. When she returns after her maternity leave and is ready to hit the wide open “blue” as she calls it, her expectations are dashed to the ground (pun intended). 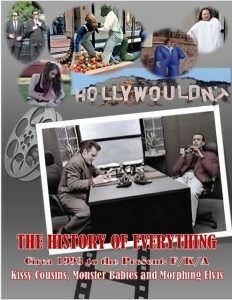 It’s a different world, a different time. It’s interesting how the blockbuster film Top Gun is so dated and could never be set in the present day. Now pilots fly drones by remote control. It is no longer an air force, but rather a “chair force.” Our protagonist – who is never given a name but just known as The Pilot – is given “shift work” twelve hours a day where she remotely flies her drone from the desert of Las Vegas to an unnamed desert somewhere in the Middle East. We watch spellbound as her love of flying, her passion for cloud jumping, her adrenaline rushes – her very nature and identity (I dare say even her soul which is built around her identity as a Top Gun flier), systematically crumble before her eyes. We are helpless voyeurs as she heads into an unstoppable tailspin. Without giving away more, suffice it to say that by the end of the play you feel emotionally drained (in a good way). So many times I wanted to jump out of my seat and shout, “Take the Shot! You know he’s in the car because he pissed in the soda bottle!” You really have to see the play to understand that comment (which I am hoping you do). Apart from the issues and themes of women in the military and women working in what is essentially almost a world run by males, there are deeper, macro motifs that go to the heart of how far we have progressed in the art of warfare. It almost seems unsportsmanlike (or in this case unsportswomanlike) to fly an unmanned aerial vehicle across the globe and take pot shots at an unsuspecting enemy while you’re safely ensconced in an office thousands of miles away. It’s like playing aerial combat videos in which death from the sky is real and commonplace. Can you see Clint Eastwood flying a drone, telling a black and white monitor to “make my day?” These are the type of questions that percolate up through your synapses long after the play is over. We have said in other reviews, pulling off a one-person show today is a Herculean task. Director Liz Diamond and actress Elizabeth Stahlmann make the task seem as smooth as the Trump shuttle flights used to be from New York to Boston or Washington, D.C. (sorry, couldn’t help myself). Ms. Stahlmann’s performance is powerful, poignant, and profound – or to use another alliterative word – perfect. She takes us on the wild arc of her character from the zenith of self-confidence and passion to the nadir of a complete breakdown. Special kudos to Artistic Director Mark Lamos for bringing this important play to our attention.